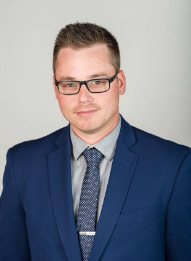 I’m Michael McDonald, I’ve been an Allstate agent for almost 2 years and have studied Business – Professional Golf Management at St. Clair College in Windsor, ON. I used to be one of the Assistant PGA of Canada Golf Professional at Kingsville Golf & Country Club. After exiting the golf business in 2012, I was an Inside Sales Representative at Atlas Tube – Zekelman Industries in Harrow, ON. This wide range of experience has provided me with the knowledge needed to serve my customers with the best quality, care and advice. I pride myself on excellent customer service. I’m a proud husband who is also pleased to call Harrow, ON home. Customers can choose innovative home and auto insurance products with features like Claim Forgiveness and Disappearing Deductible. Value is just as important to me, so I offer several home and auto discounts. I can customize your policy to suit your needs, and be your trusted advisor to make sure you and your family are protected. Whether you have a question about your policy or just want to review your coverage, I’m here for you. Allstate has a supportive claims team that you can count on day or night to take care of your claim simply and efficiently. As an Allstate agent, employee and neighbour of Harrow, I’m proud to bring good to life right where I live – supporting and strengthening our communities through sponsored events and charity events.